Rich Snippet Generator software provides facility to generate microdata code for your website. Rich Snippet Generator tool creates search engine friendly rich snippets and Google compatible microdata code for your websites. Software generates rich data snippets code for your Business, Books, Movie, People, Organization, Products, Event, Review, etc. Microdata Code Creator program provides information to search engines like what information is contained in a webpage and helps to increase your website listing. Software creates search engine friendly rich snippets and Google compatible Microdata code for your websites. Increase your websites listing in search engine (Google, Yahoo, MSN, Bing, etc) result pages. 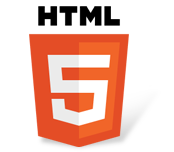 Allows you to export code in text file or HTML file as per your requirement.